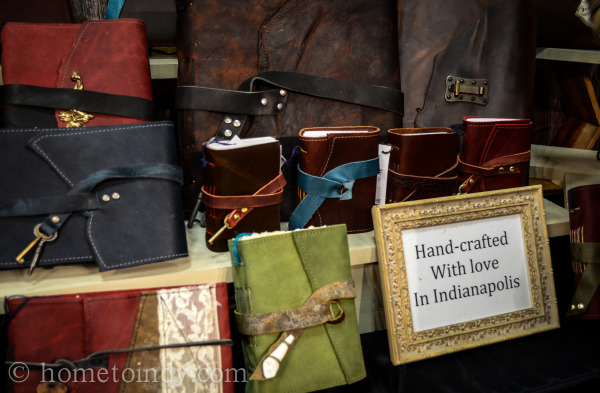 Never let it be said that Indianapolis has a shortage of artisans - we are long on creative people, a fact well demonstrated by this weekend’s Indiana Artisan Marketplace at the state fairgrounds. from the hands of careful beekeepers to the hands of caring weavers. Indiana’s heritage in painting, glass, musical instruments, stoneware, woodwork, candies, brandies and more is defined through Indiana Artisan.”. This organization seeks to raise awareness of locally made goods, as well as provide support and training for local art-based businesses. The vendor event featured live demonstrations and a wide range of mediums, including some of the more common creative trades like pottery, jewelry, and photography but also broadening to feature some really unique things like The Uncommon Gourd’s collection of tiny birds made out of dried gourds, or Rosemaling, a form of old Norwegian art. 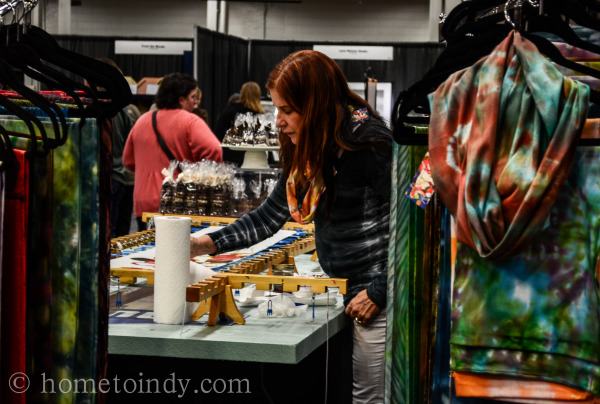 Far from the excessive crowds of the Home Show, the pace of the Artisan Marketplace was mild and full of things to delight the senses, for example, end aisles which were full of goodie vendors, offering samples of everything from chocolate, to wine to...well, is there anything else? There was, but I think I’ve covered the really important stuff already. There were a few notable vendors whose wares I found especially tempting and I’ll share them with you! The Binding Bee This artist does beautiful, intricate leather journals in all kinds of color and detail. Really lush work and if you’re looking for anything from a wedding guest book to a place to write the chronicle of your life. Blue Moon Pottery, based out of Noblesville was the other great pottery find at the show. Their collection of mugs with teabag holders, tureens, teapots and all kinds of other lovely ceramics were a big favorite of mine. Kyle Spears Photography - Really striking work, and a collection of prints from more exotic locations like London, Ireland and Paris. Ari Press Beautiful letterpress work local to Indy, shop owner Carrie Strange offers monogram and customization. Rosemaling by Jan - This is a decorative painting technique native to Norway. When I entered this booth, a kind man shared a little bit of the history of Rosemaling, explaining that the technique originally developed full of symbolism, so that the common folk who couldn’t read could have art that represented scripture. There are many different styles of Rosemaling, each native to a certain area of Norway. Jan has done a great deal of study to understand the regional styles and her work is beautiful and intricate. From the Woods Instruments - An artist specializing in beautiful, handmade harps, psalters and dulcimers. Fair warning, the website isn’t much to look at! 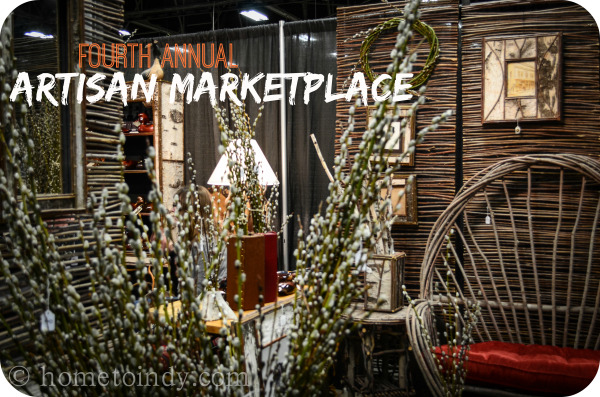 Over all I thought the Artisan Marketplace was a treat and conclude that if you can make any of the upcoming events or even have a chance to visit some of these artists online or in their respective retails spaces, you won’t be disappointed. If you’re interested in getting up close and personal with more Indiana artists, here is information about nine unique art trails for the weekend warrior. There is also a Brown County studio tour coming up May 9-18th, which will feature several of the artists who were at this weekend’s Indy event.